C harles Dickinson, a Connecticut native now making his home in Florida, grew up in a family of artists. Charles's grandfather, Sidney Dickinson, taught at the Art Student's League in New York and hangs in the National Gallery, The High Museum of Art and the Greenville County Museum of Art. Sidney's second cousin, Edwin Dickinson, exhibits in the New York Metropolitan Museum of Art and the Norton Museum of Art. Along with Charles's father, Thorn Dickinson, these men exposed Charles to art at a very young age and gave birth to his artistic mindset. He began drawing in early childhood. Later he received four years of formal training at the Paier School of Art in Hamden, Connecticut, and earned a scholarship at Lyme Academy of Fine Art in Old Lyme, Connecticut where he studied painting and sculpture. He has since dedicated his life to the study of painting and has supported himself solely on the sale of his artwork as a plein air artist for the past thirty-five years. Charles is an award-winning artist who has been honored most recently in 2018 with a Blick Award at Plein Air Richmond as well as a Third Place award in the Bucks County Plein Air Festival Quickdraw and in 2017 with a Second Prize for his painting "Shockoe Bottom Fire Escape" from Peter Trippi, Editor-in-Chief of Fine Art Connoisseur magazine during Plein Air Richmond 2017. Also in 2017 Charles was awarded the Emmett Fritz Award for Best Oil Painting for his painting "Hanover Industrial Park" in the Honors Show in St. Augustine, FL. In 2016 his painting, Banyan Land, won Best of Show, Jean Wagner Troemel Award at the Spring Members Show and then in 2015 with awards that include a "First Place" award in the 2015 Paradise Paint Out Quickdraw in Islamorada, FL and "Honorable Mention" at the 2015 Lighthouse Art Center Plein Air Festival in Tequesta, FL. He has been commissioned for paintings in such diverse locations as the New York Stock Exchange, The Meadowlands racetrack in New Jersey, Saratoga Springs, New York, and Epcot. Charles's work is collected internationally. Charles and/or his art has been featured in several media formats including the opening presentation on NBC Sports for the PGA Tournament at TCP Sawgrass, The American Master Artist Series, "The Art of Charles Dickinson," Winter Park Magazine (Cover/Feature artist), Jacksonville's Arbus magazine (Cover Artist/Feature artist), Northeast Florida's Lifestyles Magazine (Feature), See Magazine's In Room Concierge Guide (Cover, Feature), Plein Air Magazine, Art Collector Magazine, Vermont's What's Where magazine (Cover Artist), Cape Cod Guide (Cover Artist), and newspapers throughout the East. He often participates in invitational plein air painting events throughout the East. For over a decade Charles has participated in invitational and juried plein air painting events. He is inspired by the challenges of painting new landscapes with limited time and the opportunity to paint alongside his peers. He also enjoys the opportunity to bring awareness and contribute what he can to the environmental or cultural cause that these events often benefit. He was hired to teach painting at North Hollow School in Rochester, Vermont (1988-89) and at the Johnson College External Degree Program in Johnson, Vermont (1989). Charles has given painting demonstrations at the St. Augustine Art Association, at several paint outs, and at various art leagues around the country. 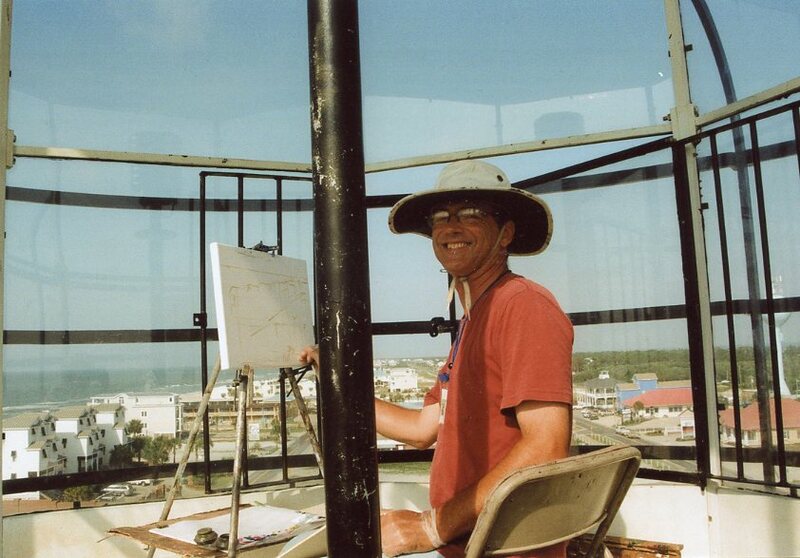 Charles has been painting the East Coast of the United States for many years and often divides his time between Florida, Pennsylvania, North Carolina, Maryland, Connecticut, Maine and Vermont. Charles's artistic aim is to create quality paintings that capture his vision of the spirit and beauty of nature.